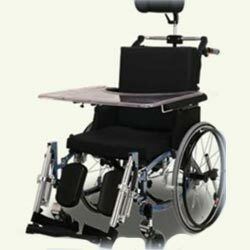 Seat sizes adjustable 16", 17", 18", 19" and 20". Seat and back rest cushioned with memory foam. 6" solid grey front castors. 24" Spoked solid rear wheels.